As the material handling industry evolves from traditional methods to more automated systems, it is critically important to choose the correct material handling system to make efficient use of your warehouse or storage facility. We manufacture parts for every aspect of the material handling process, from pallet rack systems to rails for retrieval devices. Roller Die + Forming can produce material handling systems faster, more accurately, and with better quality than other roll forming companies. 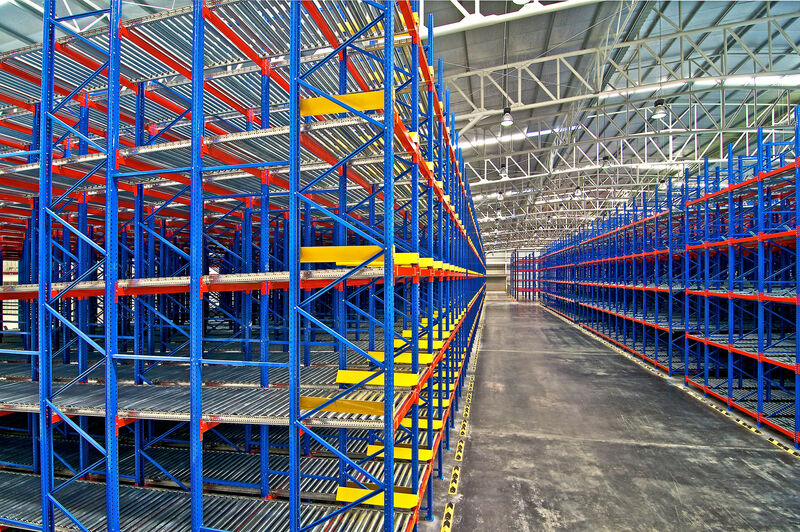 Pallet rack systems are a common and important part of many warehouse operations. 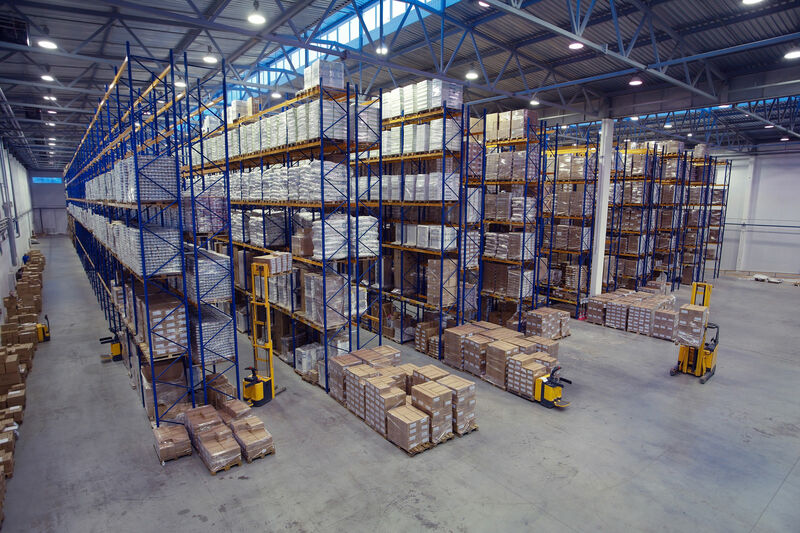 When updating your warehouse there are generally two types of pallet rack systems to consider: structural and roll form pallet racks. What is the difference between the two? The main difference between structural and roll form rack is their ability to withstand a forklift and other abuse within the warehouse. Structural steel is much thicker and heavier than roll-formed steel and is, therefore, less likely to incur significant damage. Roll form racking is less expensive and provides a more up-front return on investment. 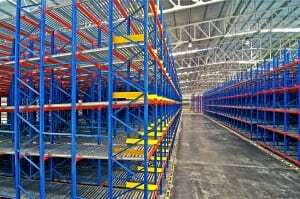 The pallet rack system for you depends on your type of warehouse. Vertical storage retrieval systems are an important aspect cost-effective and efficient supply chain with the goal of helping you get the most out of the space available in your warehouse or storage facility. Where optimized pallet storage with fast material transport and short access time is required, vertical storage retrieval systems are the answer. Precision and Quality – With our automated roll forming system we guarantee that your material handling systems will always be formed to the correct specifications. We have a team of engineers that will take the specifications and requirements, provide a checking service to ensure that the material specifications are both met and optimal, and begin production. After the automated forming has been completed, each of the pieces of equipment ordered will be individually inspected by the foremen present for any imperfections or inconsistencies. Automation and Cost – With automation, we reduce human error that occurs from the production line which is fatigue, mental strain, and environmental conditions. We then use human expertise to inspect each part which increases overall quality. As automation continues to rise and become more efficient, the cost of labor will continuously go down. By removing the production line and replacing it with automation, we save you more money than competitors. Roller Die Experience – By choosing Roller Die, you are choosing progression and expertise. We have been in business for over 85 years and keep free tooling parts from every project we have performed. Because of this enormous catalog of tools on hand, we have the ability to save you money on the design and testing process by reusing previously proven builds and using those templates. With these previous designs we can foresee and cite similar examples to your requests and spot problems before they arise. We provide the best roll forming solutions for the material handling industry. If you would like to know more about our company, services, or would like to receive a consultation for your company, make sure to give us a call at (502) 804-5571.